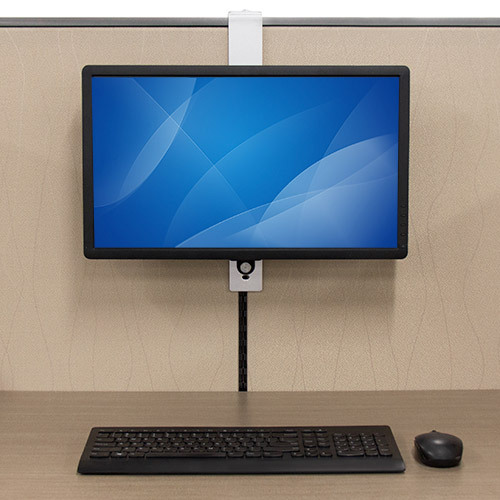 With these cubicle monitor hangers, you can free up desk space by mounting monitors on the partitions between office cubicles. 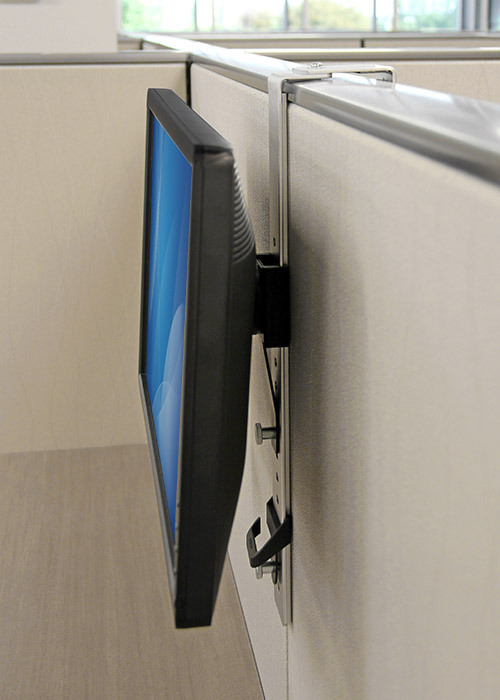 Each hanger can hold a monitor of up to 30" at 20 lb. 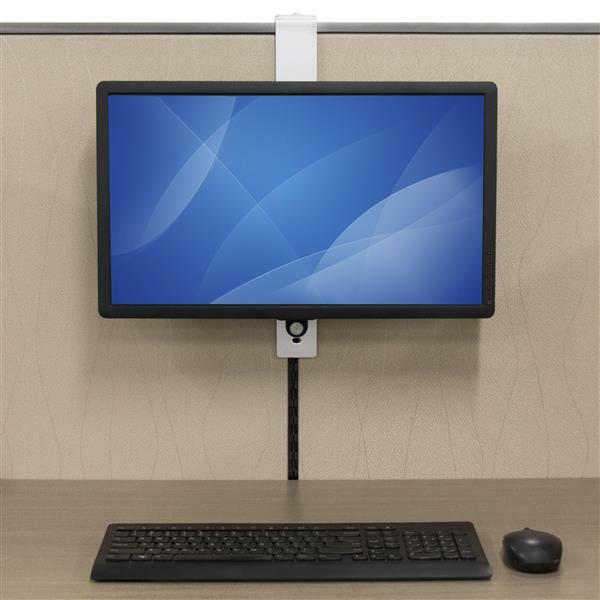 (9 kg), and it provides both tilt and height adjustments so that your employees can position their displays for maximum comfort. 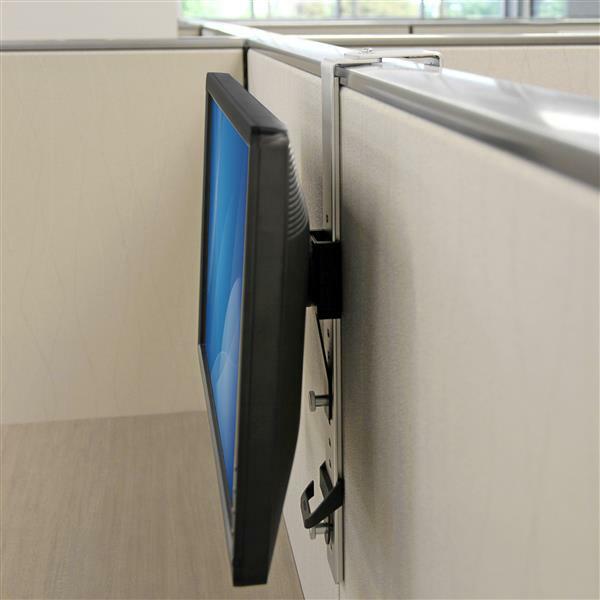 The hanger also has a discreet, low-profile design that won’t interfere with shelves that are mounted on a cubicle wall or disturb co-workers who are working in an adjacent cubicle. 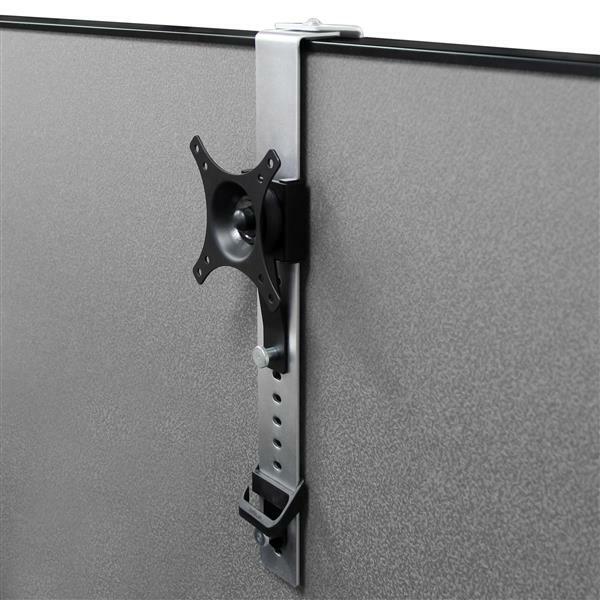 Plus, it's designed to protect the top of the cubicle wall from scratches and marks. 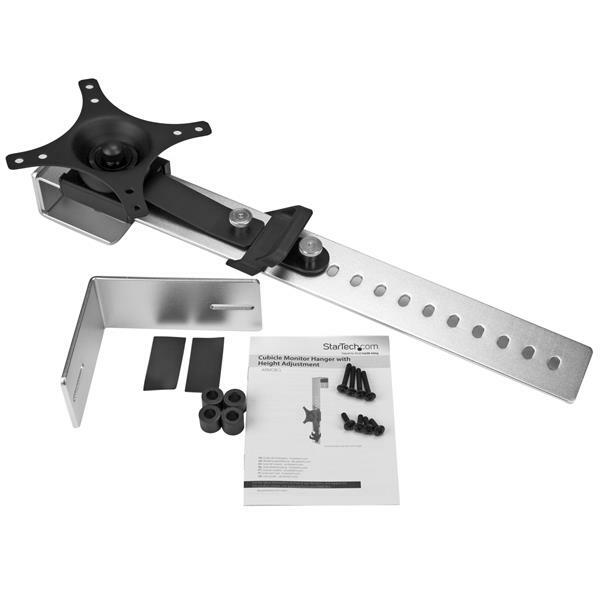 There’s no need to assemble multiple parts, and no need to clamp anything to a desk. 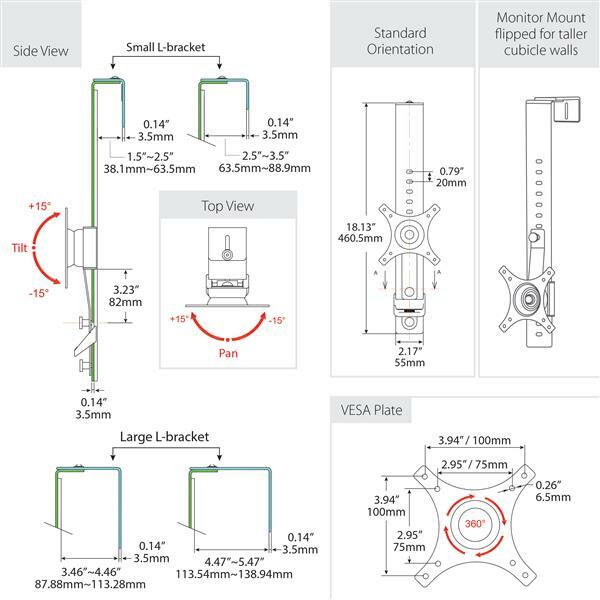 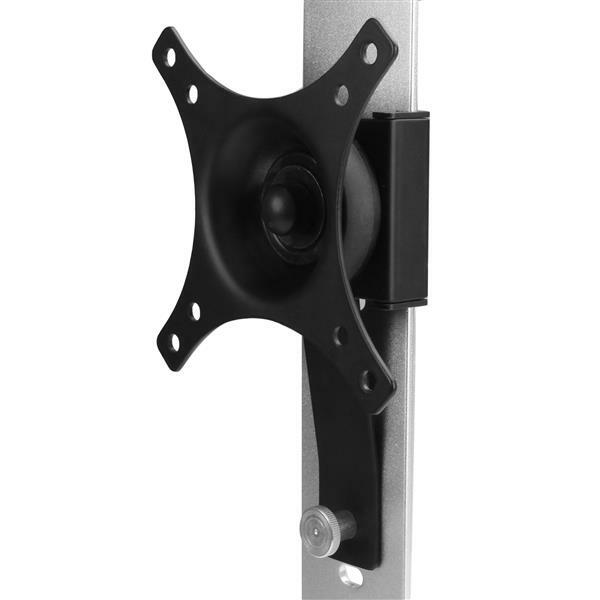 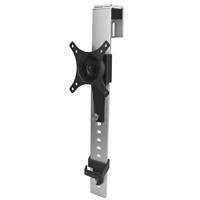 The cubicle-wall monitor mount comes with virtually no assembly and can be set up and ready to use in no time. 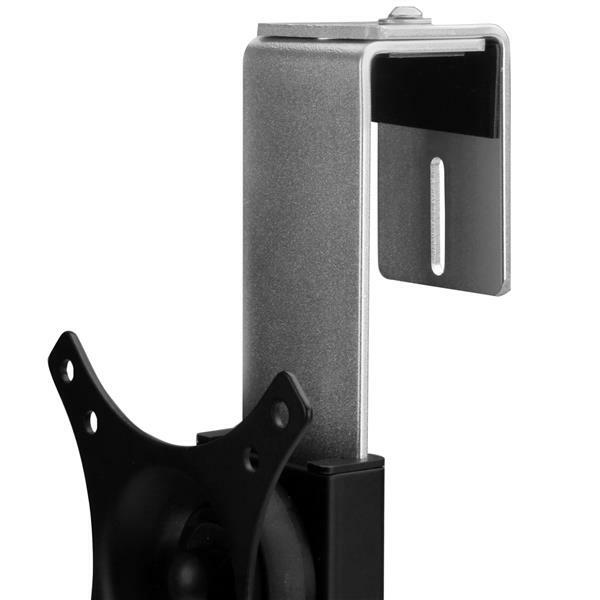 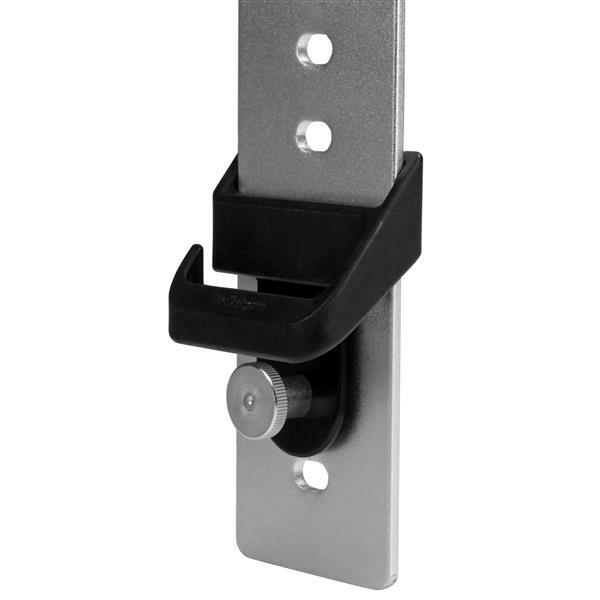 The ARMCBCL cubicle monitor hanger is backed by a StarTech.com 2-year warranty and free, lifetime technical support.